Q: Is there an online repository of basic identities/results about topic X? is a valid question and a valid answer for this site. We already had some questions of this type, e.g. this one: A comprehensive list of binomial identities? It helps askers to avoid adding duplicate question. 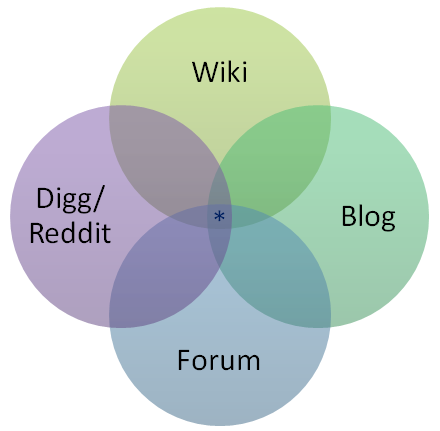 Obviously this would make a post more suitable for wiki-format then Q&A-format but Stack Overflow has elements of wiki in its hybrid design, says this blog post. I am not doing this hunting for points (although in my post about cardinal arithmetic, I link to some questions I've answered). I hope you'll take my word for this. Two questions, which lead me to thinking about posting something like this were How do you search for duplicates? and a very recent Compiling an introductory resource for (say) Abstract Algebra, from MSE answers. - which has a somewhat similar flavor to this question of mine. I'd be glad to hear the opinion of other users, whether such format is good for this site and whether they think such posts might be useful. There is nothing wrong with this, and I strongly support your efforts so far. I will contribute in any way possible. Users who don't like seeing such questions on the main page can downvote or vote to close (maybe as Not a Real Question?? ), but I will upvote and vote to reopen! Having such a resource (i.e. collection of such Q&A's) will benefit the community, as it will engage students in the learning process, and teachers in the teaching (or at least organizational/pedagogical) process. A tag such as "overview" should be created. While my math level is relatively low, I would like to help with finding the "answers" in certain topics, and creating answers/transitions between answers when possible. People have differing opinions about what they want to see and what they want to do when on MSE, but I can't imagine such a useful resource being poopoo-ed. Let's go for it! If you are serious about proceeding, I'd love to create a chat room dedicated to this, so contributors can organize their thoughts. I consider 7 upvotes for my question and 3 upvotes for the answer by The Chaz being sufficient to consider this a consensus. Although I do not expect this list to become populated too quickly, I think it's good to keep track of the question of this type that have already been posted. Does our site need a blog like a few sites on the network have? Is a Community-Wiki post for rationality/irrationality of numbers on-topic? Would a comparative math education question be welcome here? What about overview of basic LaTeX commands here in meta? different flavors of probability question: better here or on CrossValidated (Stats SE)?